When you think of “coffee culture”, you probably conjure up images of Italian bistros or espresso stands on the streets of Seattle. You might even think of a traditional Turkish coffeehouse, Parisian “café society” or perhaps a stereotypical New Yorker. On this side of the globe, we seldom pay much thought to another hub of unique coffee culture: Australia. It might have taken coffee a while to seduce the Australians, but since the espresso boom in the 1950s, coffee has become a way of life. 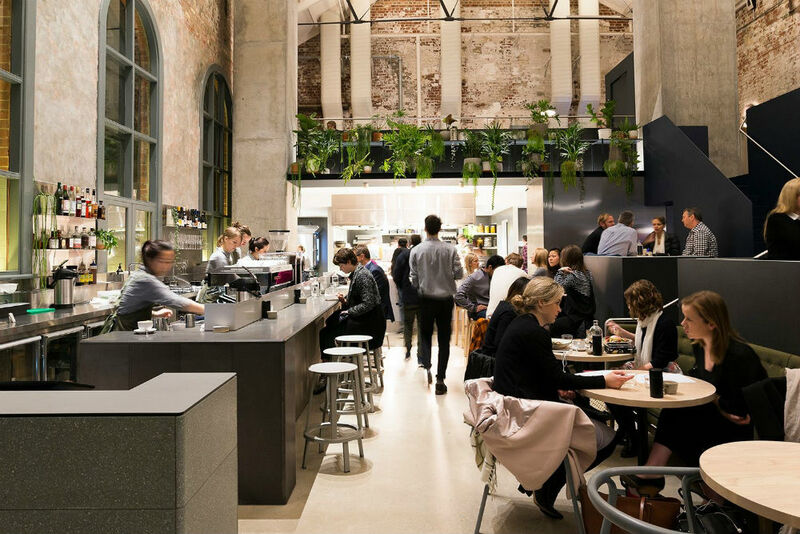 Initially founded by a generation of Italian migrants, the Australian coffee scene – particularly in Melbourne – quickly created its own style. Rather than begrudgingly boiling the kettle to simply make it through the morning, it’s a beloved daily routine for many Australians to walk to their favourite coffee shop for a cup of joe in the morning. It’s not about function. It’s not about having enough plug sockets. It’s not about being a coffee snob. It’s simply about celebrating a perfectly-poured cup of caffeine in a beautiful, no-nonsense environment. Not sure what all the fuss is about? 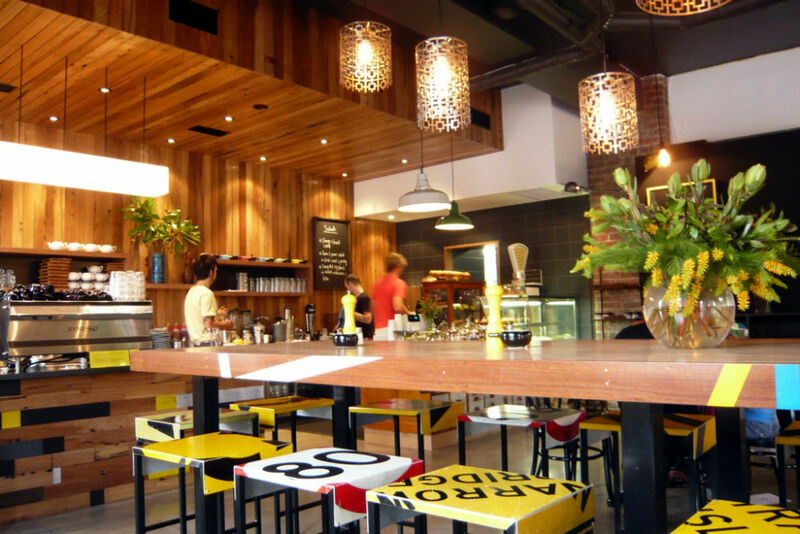 Let’s take a look at some of the best places to experience everything that makes up the Melbourne coffee scene. Higher Ground might be the epitome of what makes the Melbourne coffee scene so special, although you’ll pay top dollar to enjoy it. Located inside a cavernous double-story building, Higher Ground is a blend between restaurant and coffee shop, offering exceptional brews along with innovative twists on classic dishes. Be prepared to wait for a table, but it’s worth it. Located in Abbotsford, Three Bags Full embraces a warm, cosy vibe. The industrial-style décor is neatly matched with lots of natural wood and kooky artwork and, despite having space for 130 people across the three rooms, it doesn’t feel impersonal. On top of the excellent coffee roasts, Three Bags Full is known for serving a hearty all-day brunch. Favourites include classic smashed avocado and the ricotta hotcakes. 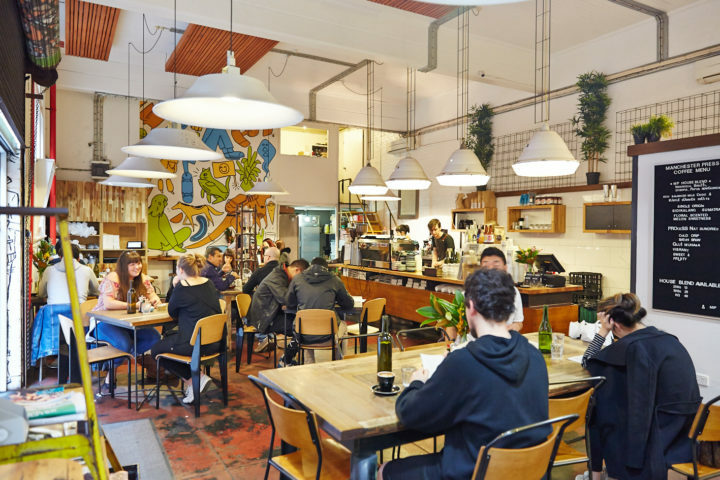 Rankins Lane is known for being home to some of the best street art in Melbourne, so it makes sense that it’s where you’ll also find one of the city’s coolest coffee shops. 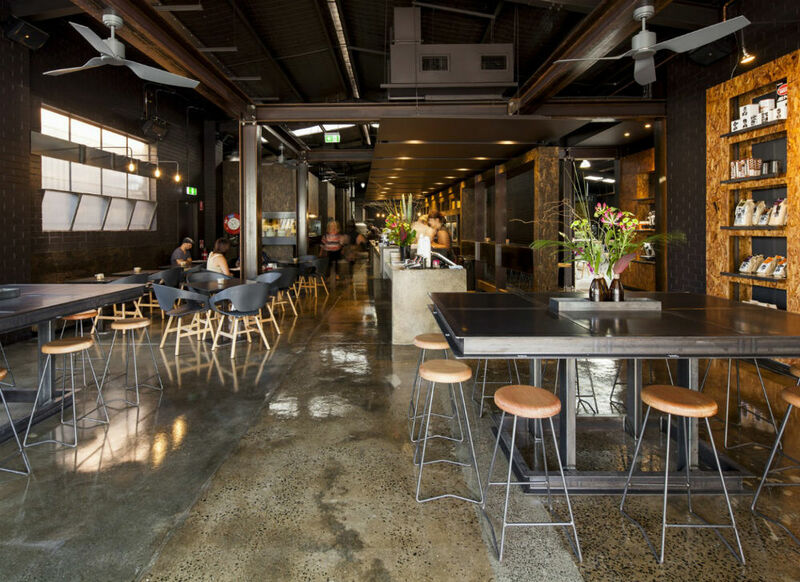 Located in the former home of an old printing press, the café is an edgy, urban-style hub that attracts coffee lovers from all over the city. If you’re aiming for a morning caffeine fix, be aware that the queue starts to form at about 8:30 at weekends (that’s half an hour before they even open). For those in less of a rush, come back at brunch. It’ll still be busy, but you should be able to snag a table and sample on of their infamous bagels. For an eclectic, homely touch, try Red Door Corner Store in Northcote. 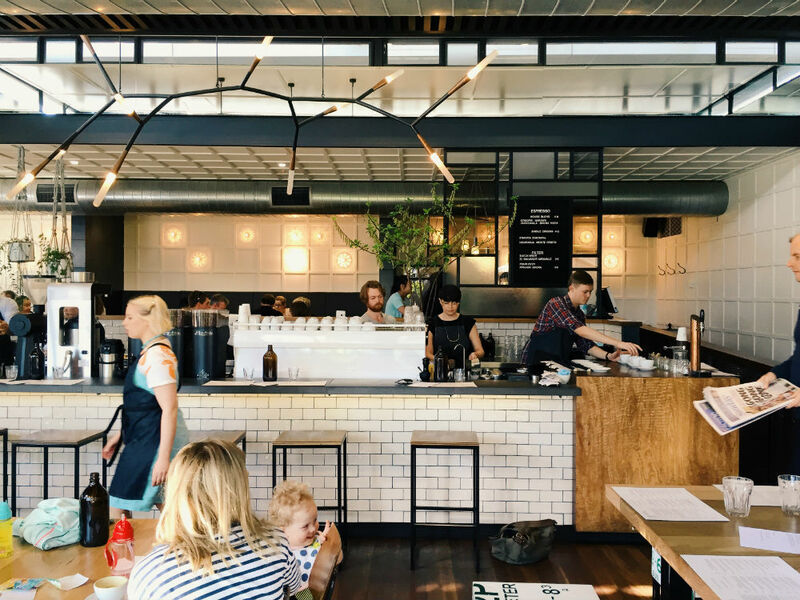 The rustic, farmhouse-style décor makes a change from all of the ultra-modern coffee shops springing up around Melbourne and the cute mismatched chairs are perfect for having a catch up with a friend. Enjoy your coffee alongside one of their freshly-baked pastries or sweet treats. Does the photo of your coffee matter as much as the drink itself? Then head to Cafe Lafayette, where everything is picture perfect. If the minimalist, geometric interior doesn’t have you drooling then the 270-degree view of the beach and ocean should do the trick. Failing that, anything your order is guaranteed to come out looking like perfection. 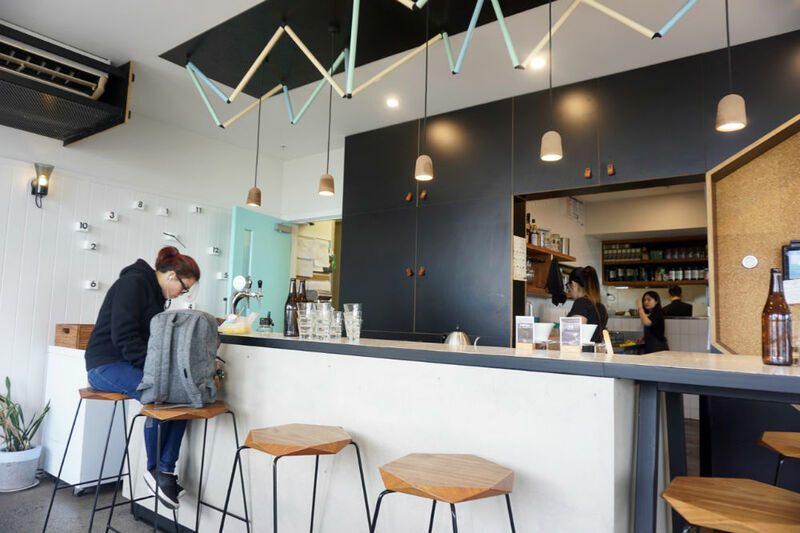 Adorable latte art, indulgent monster shakes, stunning raindrop cakes and a menu of incredible (and beautiful) Australian-Chinese fusion food – this place has it all. The team at Code Black takes its coffee seriously, doubling up as a cafe and a roasting house inside an understated ex-warehouse. Despite the no-nonsense approach to their craft, the knowledgeable staff provide a warm and welcoming environment to families and pets, as well as committed coffee connoisseurs. The crisp, clean décor at Top Paddock makes it clear that this is the place for a sophisticated coffee and a stellar modern menu – which is exactly right. Although it’s obvious that the team behind Top Paddock knows exactly what attracts the hipsters and the Instagrammers (they’re also behind Higher Ground), it really feels like the aesthetic ticks those boxes by coincidence, rather than design. All of the various seating areas enjoy perfect natural light, creating the ideal ambience for you to photograph (and enjoy) immaculate cappuccinos and beautifully styled ricotta hotcake. 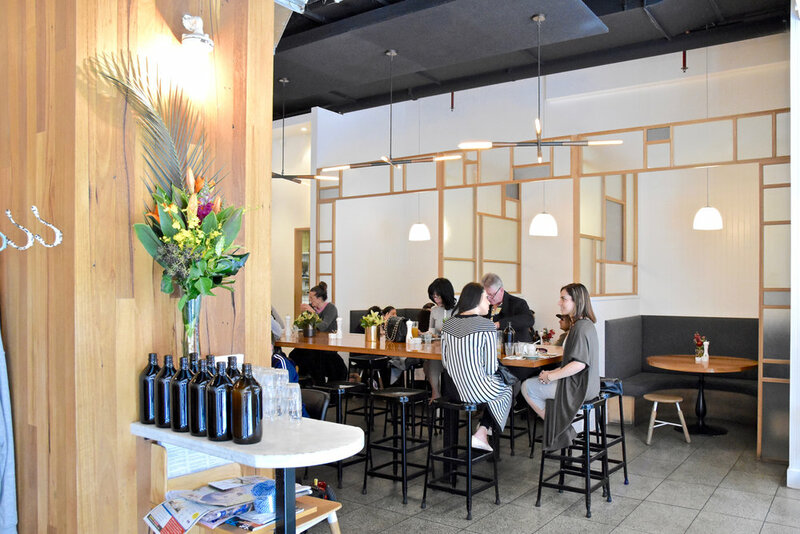 Sleek and elegant, Two Birds One Stone embodies the fresh, airy aesthetic of the modern Melbourne coffee shop, while its menu competes with the very best cafes in the city. Start your day with a bowl of their homemade granola or stop by at lunch for a portioned of the chargrilled eggplant. Of course, with such a thriving coffee culture, it’s impossible to compare every exceptional cafe. 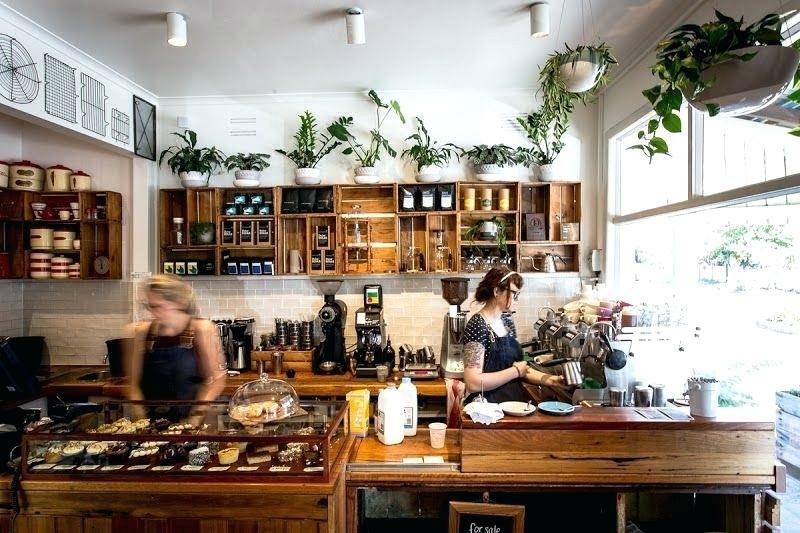 With a unique coffee shop on every corner, if you’re planning on visiting Melbourne any time soon we recommend that you ask the locals where their favourite nearby cafe is – you’ll almost certainly get a completely different list! Dakota Murphey is a self-proclaimed coffee aficionado. With her passion for travel, she's been lucky enough to taste coffee beans from all around the world and enjoys sharing her experiences through her writing. Dakota keeps up to date with the latest coffee trends and draws inspiration from Australian coffee bag specialists such as The Bag Broker AU. Why not see what else Dakota has been up to on twitter: @Dakota_Murphey.